Hi PlayStation.Blog! I’m Jeff Kaplan from the Overwatch development team, and I’m happy to let everyone know that Overwatch will be launching May 24th on PS4! As an added bonus, if you pre-purchase Overwatch, you’ll get early access to the Beta for you and a friend from May 3rd to May 4th. After that, everyone will have a chance to play free during our Open Beta from May 5th to May 9th. Overwatch is a team-based, multiplayer shooter featuring a cast of 21 dynamic heroes. 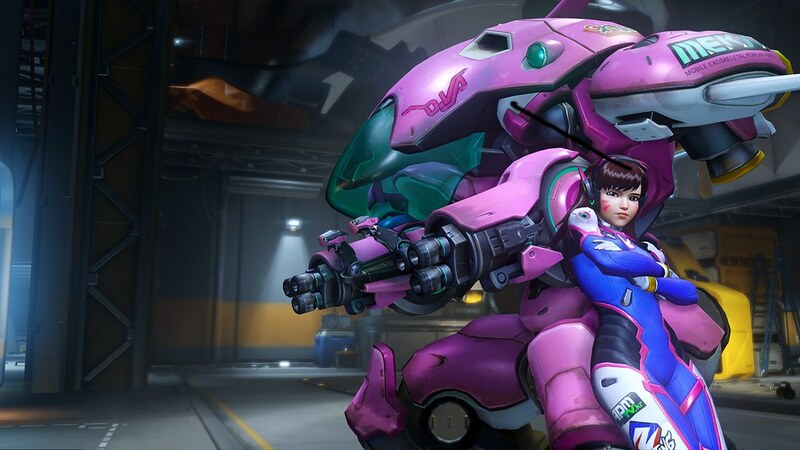 Taking place on a near-future Earth, Overwatch gives players the ability to bend time, defy physics, and unleash over-the-top powers and weapons. 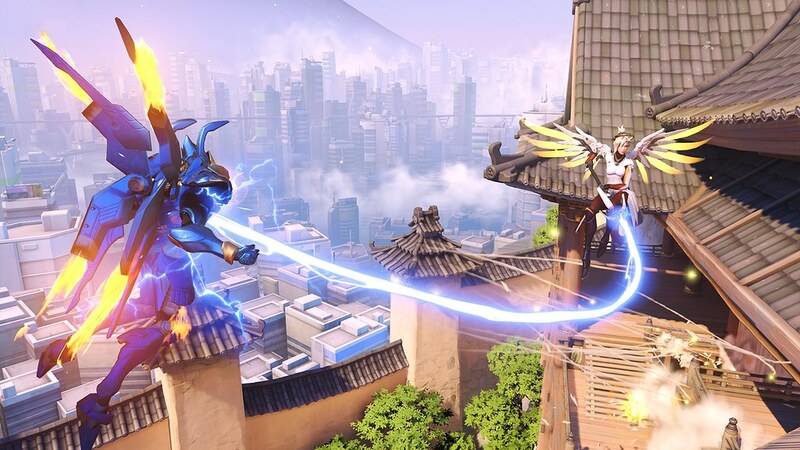 Teams compete in six-on-six, objective-based maps set across the world — you’ll be protecting an ancient temple in Egypt, escorting an EMP device through King’s Row in London, battling for control of Lijiang Tower in China, and more. Switching heroes on the ﬂy is key to countering your opponents and to gaining the upper hand in battle. Why Open Beta and Early Access? We know how important and meaningful it can be to try out a game before buying it. We also want to make sure you get a really good sense of what the full game will be like, so we’re making all 21 heroes and all maps and game modes available in the Open Beta — that way you can really start to get a handle on the game’s central concepts, like roles, counters, and hero-switching, in a variety of different map types. The early access portion of the Open Beta is our small way of thanking players who’ve invested in Overwatch early. Your belief in the game means a lot to us. 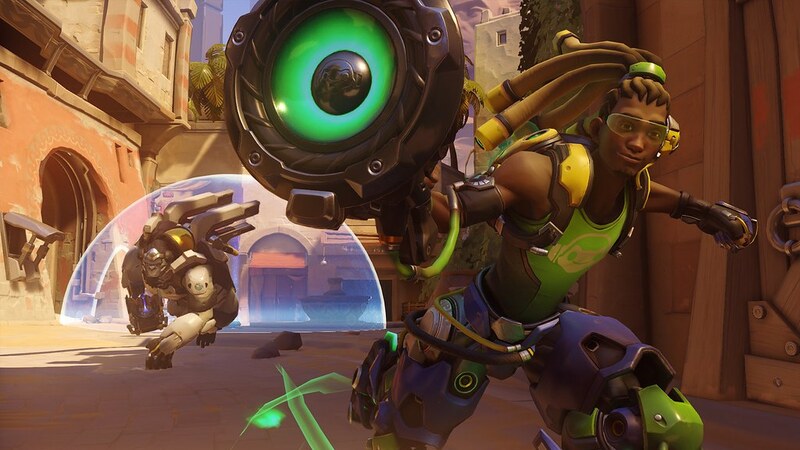 If you’d like to support Overwatch, you can pre-purchase now to get early access to the Open Beta. Thanks, we can’t wait for you to join us soon. Will PS+ be required to play this game? Multiplayer means online, so yes. Probably, but if Blizz is using their own servers they may decide it doesn’t. Hard to say. Killaruna, PS+ is only 100% required if the company wants to use Sony’s infrastructure. If not, it is up to the publisher/developer whether ps+ is going to be required. The full game yes but not the Beta. “Multiplayer” does not mean “online”. Believe it or not there were multiplayer games before the internet took over. Awesome! been looking forward to this, didn’t expect it so soon! May is gonna an AWESOME month for PS4. UNCHARTED 4: A Thief’s End and now Overwatch. Stoked. Nah uncharted getting delayed again till June. Didn’t see this coming out so soon. Isn’t that close to battleborn release date? I don’t see it in the the PSN Store to Pre-Order?!?!? Any word on when its available to pre-order on the PSN Store? I’ve pre ordered through Amazon. Will I be able to get a code? Should be, everytime I’ve pre ordered through them they sent me the codes. Just look at the bonus box under the price page window. 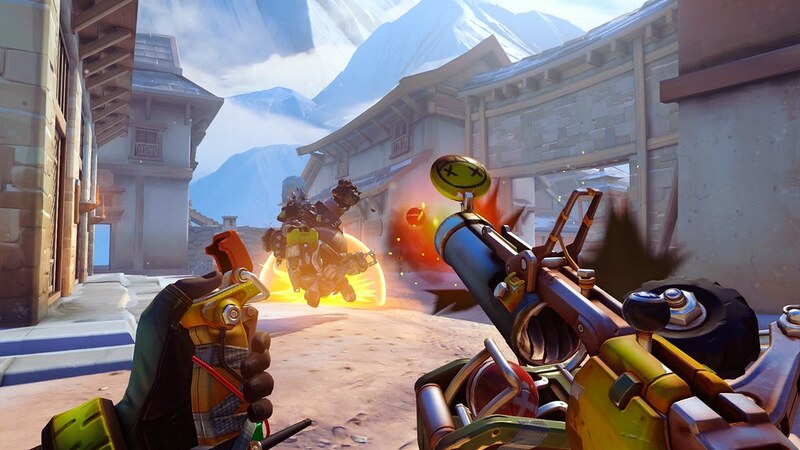 Overwatch looks fantastic, and PS4 support is very welcome! I’m looking forward to playing! This one’s not for me. I agree about the 1st person issue…this game screams 3rd person like it would be so much better if it was in 3rd person but anyway it looks good.You should at least give it a try even if you hate 1st person. Oh well, it looks like its getting a good reception so it should be successful which is good for Blizzard, even if it means its a game I won’t play. I’m with Seluhir. I can’t for the life of me understand why 1st and 3rd person views are not optional in shooters nowadays. With “how great” the programmers are they can’t figure that one out…along with customizable control schemes. We had this back in the 16 bit days. They can show us every bead of sweat and blade of grass but can’t remap a controller? Just sad. A demo is a cut of the final game. A beta is a work-in-progress, where they still plan to change balancing, and possibly key features and abilities. That’s why. Yes there is… I’ve seen games that got hundreds of balance tweaks in a 3 week timeframe. Content, you’re probably right. But balance? That can, and almost certainly will, change in that 3 week span. If I’m not mistaken (which I’m not), The Division just held an open beta in mid-February, barely more than two weeks before the game came out. And on top of the data from both earlier closed betas, they made a number of changes based on the feedback from people who played during the open beta. There’s a ton they can change in three weeks. The amount of damage a skill does. The AoE radius or splash damage amount. Skill cooldowns. Buff and debuff strengths. Height modifiers, movement speeds, terrain effect on movement and skill use… the possibilities for changing and tweaking the game are quite substantial, and are all easily doable in a few weeks. Also, generally, offline games get demos. Online games and MMOs tend to get betas, as they use the period to test both game features/balance and server performance in order to tweak things before launch. From what I’ve noticed, this seems to have been a standard for quite some time now. Is the early access for digital purchase only? How does one access this is I pre ordered the physical collectors edition? You are supposed to get an early access code from your retailer. If it was not available at the time just contact him with the receipt or account info and he will supply it when it is available. Just make sure it is before April 29, 2016. What I do not know is if the digital edition will come before April 29, 2016, or if at all. So I’m screwed. Pain of living in canada/quebec and paying way too much taxes/fees just for games. Also, do the cross-game bonuses (for D3, WoW, Heroes, SC2, and Hearthstone) come as a battle.net code or something? Nice! I want to preorder this. But all I see is physical. Is there any digital comming up to ps4 anytime soon? I’m not a big fan of physical copies. Damn I”ve read somewhere that Overwatch was coming to PS4 but I thought it was just a rumor…ha and you guys are making an open-beta now thats the real deal,awesome news! !.Count me in cuz I will be laying corpses down with Tracer like there is no tomorrow. Its really nice to see Overwatch coming to PS4…good job Blizzard. Yes, of course you’ll need an active PS Plus account to play online. Anything that isn’t F2P or subscription based requires PS+ for online play. Thanks. I’ve been excited for Overwatch ever since it was announced, and now i’m even more hyped that it’s coming to PS4 along with a beta. Why isn’t hearthstone on PS4, yet? Seems like the perfect platform. I Would Love To Try This Game. :) Many Good Games. why call it a beta when its a demo. Because it’s not. See above discussion. Love Blizzard games but… a multiplayer only shooter with tiny static 6v6 size maps? Doesn’t look like a $60 game looks like $40 or even free to play. Seems like a TF2 clone. Can I pre-purchase this game digitally? I haven’t seen that option on the store yet. Will that be an option in the near future? Just kidding. It is indeed available to preorder digitally now. I want this game so bad! So I just pre ordered Overwatch on the ps store digitally. How and when will I get my early access for the beta code?